Reiki, pronounced “ray-key,” means “Universal Life Energy.” This form of touch therapy promotes relaxation and health. It is a non-invasive technique based on the traditional Eastern principle that balancing Ki (life energy) boosts natural healing. Reiki helps the body to work more efficiently. This is a simple practice that anyone can learn. Bonnie has been practicing and teaching Reiki for over a decade. 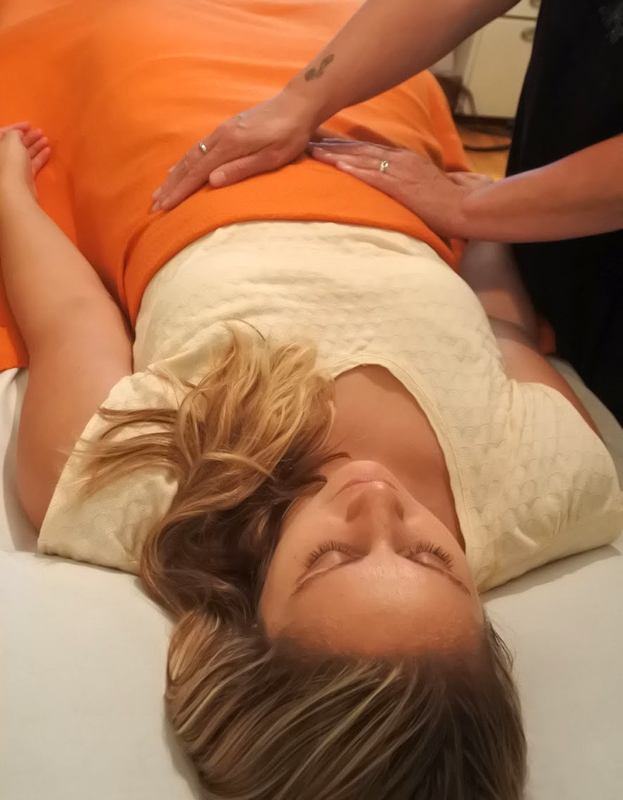 During a Reiki session, the practitioner channels energy through the gentle resting of hands on or slightly above the client. The client remains fully clothed. Most people report sensations of heat, tingling, or coolness along with deep relaxation. The benefits of a session include stress reduction, alleviation of physical complaints and a sense of spiritual and emotional well-being. Clients report feeling the energy moving through and around their body during a session. Some will even fall into a deep, relaxed sleep. Please be aware that Energy Healing is a complementary therapy and not a replacement for medical or psychological care. If you have a medical or psychological condition please be sure you are receiving help from a qualified medical professional. Energy work can be a wonderful additional support for you in your healing journey. “My Reiki session with Bonnie was amazing! It was my first experience and I was thrilled with it. I did the Reiki when I was 7 months pregnant and I truly feel like my baby benefited from the Reiki as well. The Reiki was sooo relaxing and unbelievable. I truly felt like I was “somewhere else” but was also very aware of the present…such a neat experience! Bonnie’s session was right on. The insight that she gave me was so accurate and helpful. After my session with Bonnie, I felt much more relaxed and “awake.” I still can’t stop thinking and talking about my experience with Bonnie! Bonnie is happy to accept debit, visa, master card, or cash. If you are unable to make your scheduled appointment for a private or phone appointment, Bonnie requests 24 hours notice. A missed appointment fee may apply.